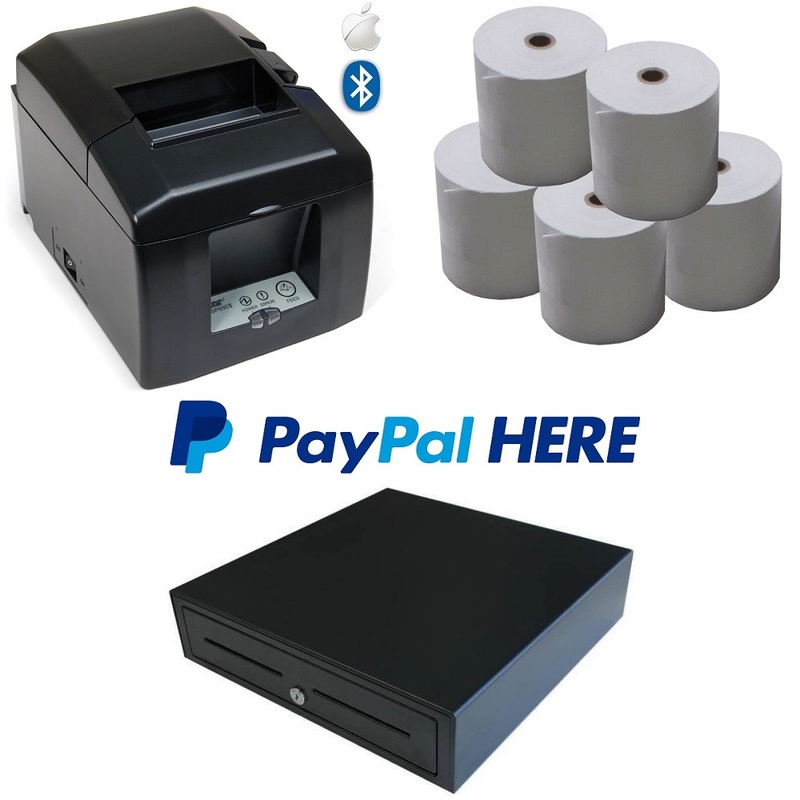 PayPal Here Hardware Bundle 1 - Star TSP143III LAN Receipt Printer, Cash Drawer & Paper Rolls. Split the payment over 13 weekly payments of $55.00 Shipping & returns info Free shipping! 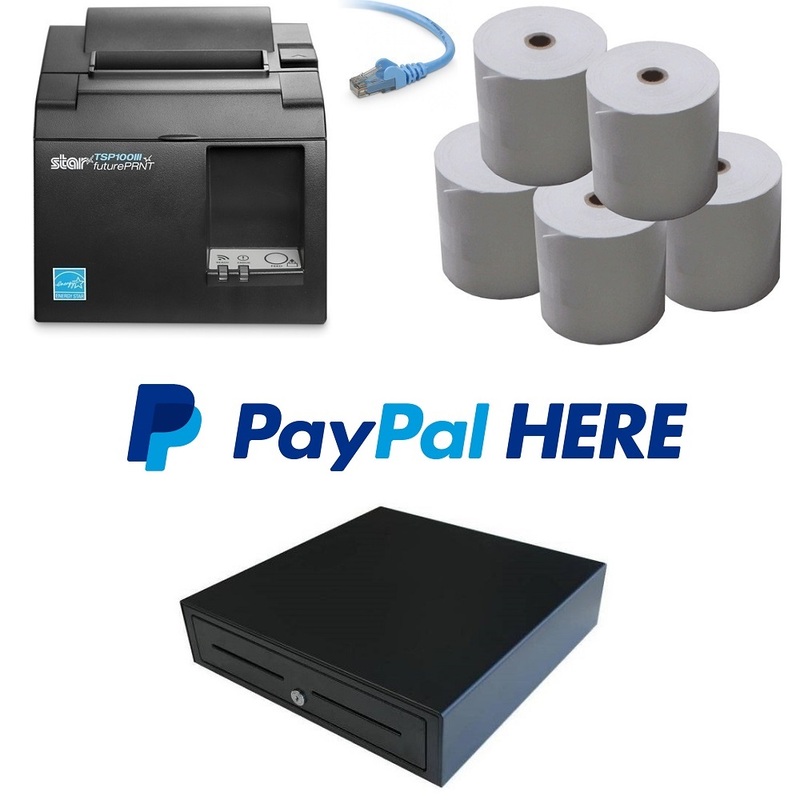 PayPal Here Point of Sale Hardware Bundle 1 consists of the Star Micronics TSP143III LAN (Ethernet) Thermal Receipt Printer, Heavy Duty Cash Drawer & Box of 80x80 Thermal Paper Rolls (Box of 24). Compatible with iOS (iPhone / iPad) & Android. PayPal Here POS Hardware Bundle 1 - Star TSP143III LAN POS Printer, Cash Drawer & Box of Paper Rolls. Compatible with iOS (iPhone/iPad) & Android devices. Check out the details below for individual item specs! The Cash Drawer is a 5 note, 8 coin cash drawer made from robust steel and designed to withstand even the most demanding point of sale environments. PayPal Here Hardware Bundle 2 - Star TSP654II Bluetooth Receipt Printer, Cash Drawer & Paper Rolls.